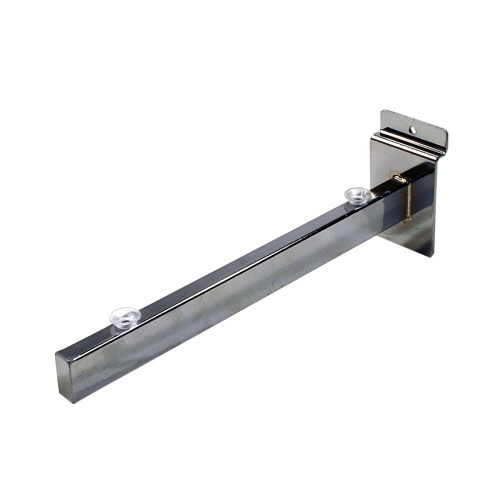 Slatwall Acrylic/Glass Shelf Brackets in chrome finish. Ideal for improving storage and display on your slatwall panels or displays. Plastic suction cups ensure your shelving doesn't move. 3 lengths available - 200mm/250mm/300mm. 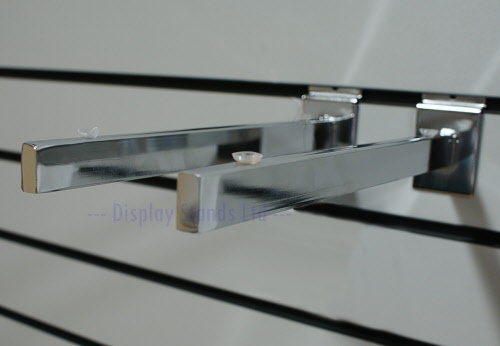 For use with glass shelving or acrylic shelving (J60/J61/J62). 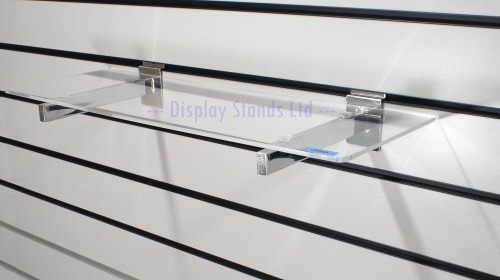 We recommend using 3 brackets for acrylic shelving wider than 600mm to prevent bowing/distortion. Use in store for display, at home or at exhibitions.